Car lovers, take note! The National Corvette Museum is located in Bowling Green, Kentucky. The museum is filled with lovely cars, history, and more. Entertaining and educational for all ages. What Is the National Corvette Museum? The National Corvette Museum is a not-for-profit foundation with a mission of celebrating the invention of the Corvette. Since 1953 the Corvette has been America’s Sports Car, and there are beautiful models of every era since the car was invented. The organization works throughout the year to preserve the past, present, and future of the car and to educate the public about Corvettes. The museum is younger than the car it celebrates, it opened in 1994. The attraction lives within a 115,000 square foot facility located on a 55-acre campus. The National Corvette Museum is easy for drivers to get to, it is located off the interstate in South Central Kentucky. Less than one hour north of Nashville, TN and less than two hours south of Louisville, KY, the Museum is a quick and easy stopover when traveling by car. There is a GM Plant, where Corvettes are made, nearby as well. All the Corvette action is in Bowling Green, Kentucky! It is close enough to be a day trip, but if you can swing it plan a few days as there is more to do in the area. For instance, Bowling Green is home to some of the top caves in Kentucky, too. Both can be found when taking I-65 Exit 28. Keep in Mind the Time Zone! If you are in Louisville, remember Louisville clocks run on Eastern Daylight Time. The western part of Kentucky, where Bowling Green and the Corvette Museum are located, is in the Central Time Zone of the U.S. When traveling around Kentucky, it's important to know about the change in time zones, you don't want to show up for an event at the wrong time! Do They Make Corvettes at This Location? Well, not at the museum location, but there are cars being assembled nearby. Bowling Green is home to the world’s only General Motors Corvette Assembly Plant. Visitors can also tour the GM Plant if they would like. Obviously, if this interests you, you'll have to plan the day accordingly. 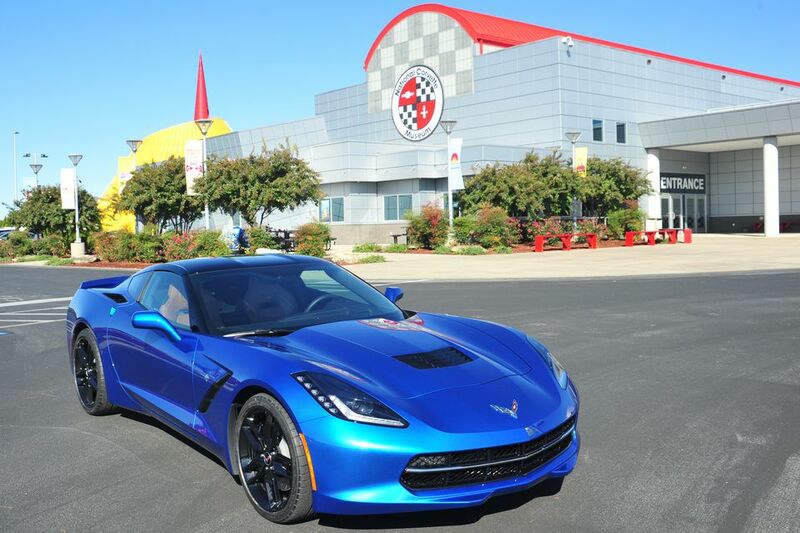 When planning your trip, allow 1-2 hours to enjoy your visit to the National Corvette Museum. Of course, if you are a Corvette or classic car buff, you may want to allow more time to admire the collection of beauties. Either way, try not to cut it too close, it's better to have extra time to wander than to leave wishing you could have stayed longer. Is There Anything for Kids at the National Corvette Museum? Yes, the visit is entertaining for the whole family, even young ones and individuals who aren't mad for autos. There is a kids area with a model auto body shop for the kids to explore and there is The Corvette Café, a 50's-themed diner. Plus, there is programming for families; summer camps, party planning for birthdays, events featuring Santa. When Is the National Corvette Museum Open? The attraction is open 8 a.m.-5 p.m. Central Time. The last admission tickets are sold at 4:30 p.m. Central Time. The museum is open seven days a week but is closed on some holidays, including New Year’s Day, Easter, Thanksgiving Day, Christmas Eve, Christmas Day. Admission price is $10 for adults, $8 for seniors, $5 children aged 6-16, and children under 6 years old are free. Also, all active military receive free admission. Call 800-538-3883 or 270-781-7973 or visit the National Corvette Museum website for more info.